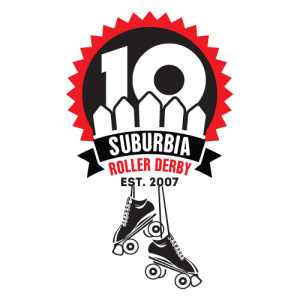 2017 is here and so is Suburbia Roller Derby’s tenth anniversary! There will be some great events to share with you all year long, so make sure you’re checking out our Facebook page for updates! We’ve got a big, enthusiastic fresh meat class coming up this year that we can’t wait to show off and that you won’t want to miss. More than anything, we hope to keep getting stronger: as people, as an organization, and as a community of derby lovers. We hope you’ll join us! Wil Crusher, part of our Fresh Meat class, wants to skate 27 laps in 5 minutes. What more can we say? Wishing you all a Happy New Year from Suburbia! !